Rover 200 2.0 diesel. a used item in good condition, full working order, tested before removal. All are parts are used and may show signs of age, they may be dirty, but all are in good working order. DPC 8443B981B. REMANUFACTURED DIESEL FUEL PUMP CAV. Rover 75 MG ZT ZT-T DIESEL FUEL PUMP UNDER BONNET. Condition is Used. Dispatched with Royal Mail Signed For® 2nd Class. Part no WFX101010. Rover 25,MG ZR,1999 on,Petrol models. Checked before removal and OK. Other used Rover parts available. In tank fuel pump. In tank fuel pump,Part no WFX100680. Rover 200,95-99,Petrol models. Checked before removal and OK. Other used Rover parts available. In good used condition. 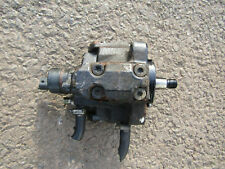 Classic Mini Mechanical Fuel Pump BZX1011 - BZX1036 Austin Rover Look to be In good used condition. Untested. Will send tracked worldwide. All Rover SD1 In Tank fuel pump 1976 to 1986. Not Fuel injection. Rover 2200 & 2200TC. Rover part ERC1560. AC CORRECT TYPE FUEL PUMP NEW. Later type with push on connections. In tank module assembly,WGS100031. 1.8,2.0,2.5,Petrol models,NOT TURBO. Rover 75,MG ZT,1999-02. Checked before removal and OK. Other used Rover parts available. In good used condition. In tank fuel pump,WFX101471. Rover 75,MG ZT,2003 on. 1.8,2.0 2.5 Petrol models. Checked before removal and OK. Other used Rover parts available. In good used condition. EARLY Rover 75 MG ZT 2000 PETROL FUEL PUMP & SENDER UNIT WGS100071 WFX181471..
Austin Morris, Cooper, Rover -. New Genuine - Part Number12G4520. Rover 214,16 valve, MPI, Wedge shape model,1992-95. Checked before removal and OK. Other used Rover parts available. In tank Fuel Pump. In good used condition. ROVER 75 MG ZT FREELANDER TD4UNDER BONNET FUEL PUMP. MGF TF ROVER 25/45/75 ZR ZT parts. WE HAVE THOUSANDS OF PARTS ON THE SHELF READY FOR DISPATCH. Rover 620,1993. Checked before removal and OK. Other used Rover parts available. In tank fuel pump. In good used condition. 2002 - 2005 Range Rover L322 4.4 V8 In Tank Fuel Pump & Sender. We also boast an extensive used car parts centre. We willALWAYS resolve your issue but would ask that you call us in order to do so. We are a bonefide 'End Of Life' Vehicle Dismantlers situated in East Devon. Rover 400,1995-99,Petrol models. Checked before removal and OK. Other used Rover parts available. In tank fuel pump. In good used condition. In tank module assembly,WGS000030. Rover 75,MG ZT,2005on. Checked before removal and OK. Other used Rover parts available. Diesel models. In good used condition. Rover SDi Boost Timing Tuning Spacer and Boost Pin. The spacer is designed to give you enhanced upper rev performance of the 220 sdi. The kit includes a boost spacer, seals and a boost pin. Our spacer is CNC machined plus using top quality seals that will not perish or leak. Here we have a New Rover 213 fuel pump.Bought but not needed. ROVER 45 2001 1.4 16V PETROL 14K4F IN THE TANK ELECTRIC FUEL PUMP AND SENDER UNIT WHICH IS IN GOOD WORKING ORDER! We are located at Autoline Motors Ltd, Froghall Stoke on Trent. Rover 75 / MG ZT Diesel 2001. UK cars are right hand drive.again I take no responsibility for any muddle up with Left Hand Drive Cars. I only know that the item will fit the pictured car. Fits:-Land Rover Freelander 2.5cc 24v Petrol models made from:-1997 to 2006 with Part Number:- WFX101410. For Sale:-Land Rover Freelander 2.5cc 24v Fuel Pump with Sender Unit. neutral or. We always try our best to help. We do not decode them prior to sale. All Parts are used and may have hidden faults. We do not cover any garage fees, or any other expenses caused if the item appears to be faulty. Body panels and other vehicle body parts are used and will have normal tear and wear. SPACER FOR ROVER. Item : Spacer, fuel pump. New Genuine Rover Spare Parts. Rover 1.4L 8V Mpi Ecu Kit. Complete with 5As Alam box and one fob. (ROVER 200 SERIES Fuel Pump 0000205092. Other Details: 1995-00 1120cc 8v petrol - 2pipes 4pin plug. This item was removed from a 2000 vehicle. Jersey, Guernsey, Scilly Isles) as well as for the Scottish Highlands.